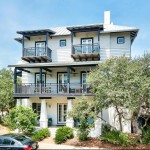 Sitting on the south side of Scenic 30A, and just steps from the beach, 95 Rosemary Avenue occupies a corner lot in Rosemary Beach. Local rental company estimates this property can do $248,000 in gross rentals. The main house has an elevator and four bedrooms and four bathrooms with an additional two half bathrooms. The carriage house has one bedroom plus a bunk area, and one bathroom. 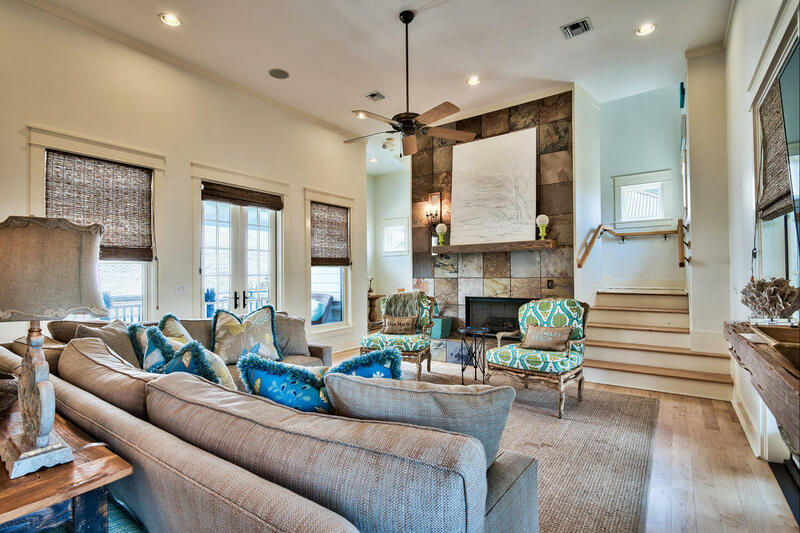 Entering the ground floor of the main home, there is a secondary living room that’s perfect for lounging and grabbing a few cocktails at the wet bar before heading out to the rear patio and private pool area. The patio has two outdoor showers, one of which is accessible through the first-floor half bath off the living room. The first floor has a master bedroom and a bunk room. The main living area and kitchen are on the second floor, easily accessible by stairs or elevator. 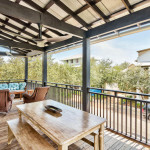 The living and dining areas are open to the kitchen and two large porches overlooking Rosemary Avenue and the pool area. The second floor also has a half bathroom off the kitchen. A gas range and top-of-the-line appliances are available for the creative beach chef. Two more bedrooms fill out the third floor. 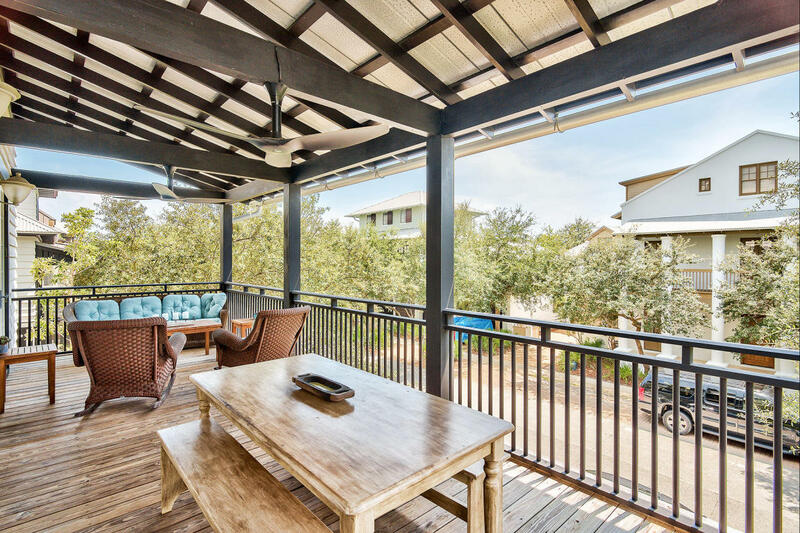 Each bedroom has its own full bathroom and porches looking south to the emerald waters of the Gulf of Mexico, and the master suite has a deep walk-in closet for your beach wardrobe. Outside, you’ll find the carriage house above the two-car garage. 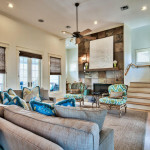 The carriage house has a living room, dining area and a fully-equipped kitchen. There are also bunk beds built in for extra sleeping. The carriage house also has an additional bedroom. The garage has its own washer and dryer so it can be rented separately from the main home if desired. The outdoor pool is an ideal place to cool off after a day at the beach. And the fire pit will be a welcome spot to enjoy the cool Florida evenings. 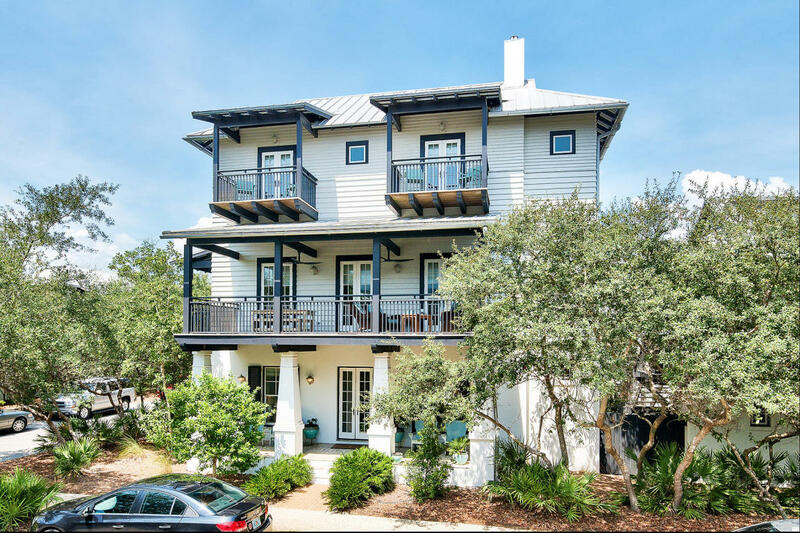 The town of Rosemary Beach has 5 additional pools (one of which is the newly built owner’s pool), as well as deeded beach access, a fitness center, tennis courts and many parks and green spaces. The town is filled with unique shops, boutiques and restaurants all within walking distance from this prime location.